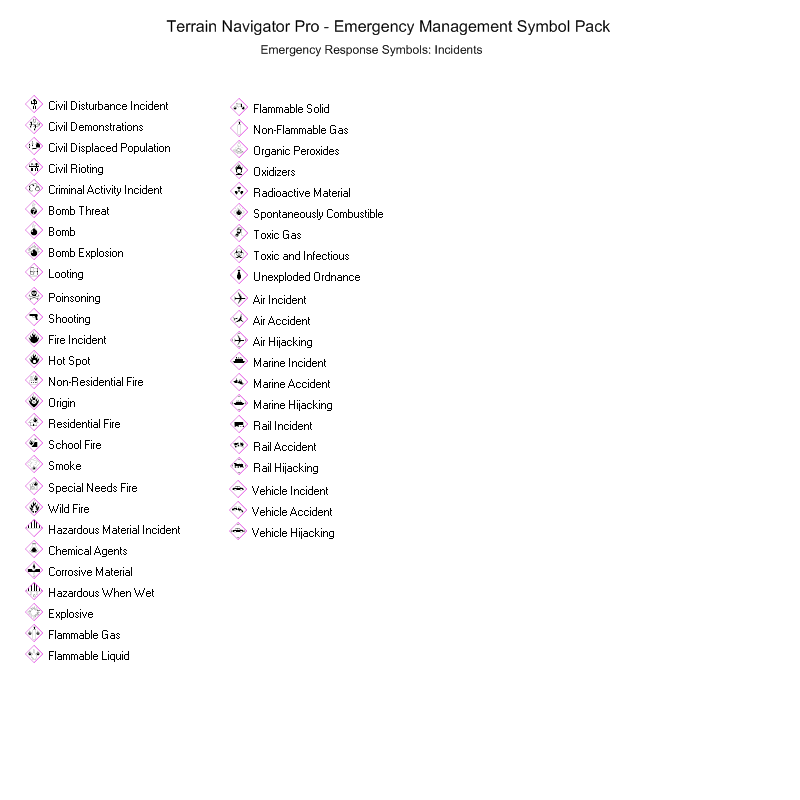 Working in conjunction with many different emergency responders, we have released a plug-in module for Terrain Navigator Pro that incorporates all of the required symbology needed by fire fighters, EMS, first responders, search and rescue, and other professionals. 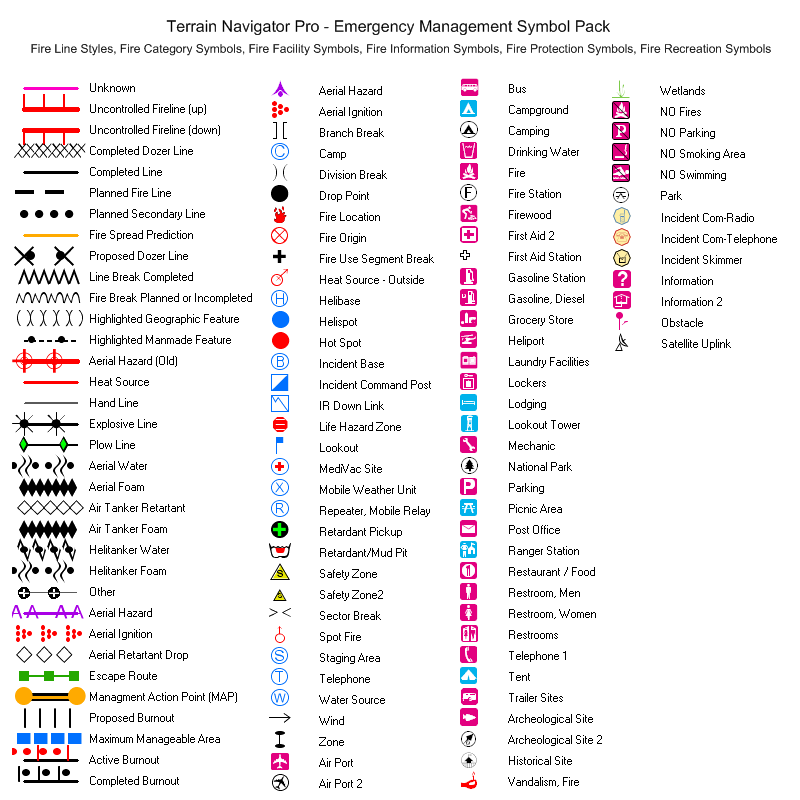 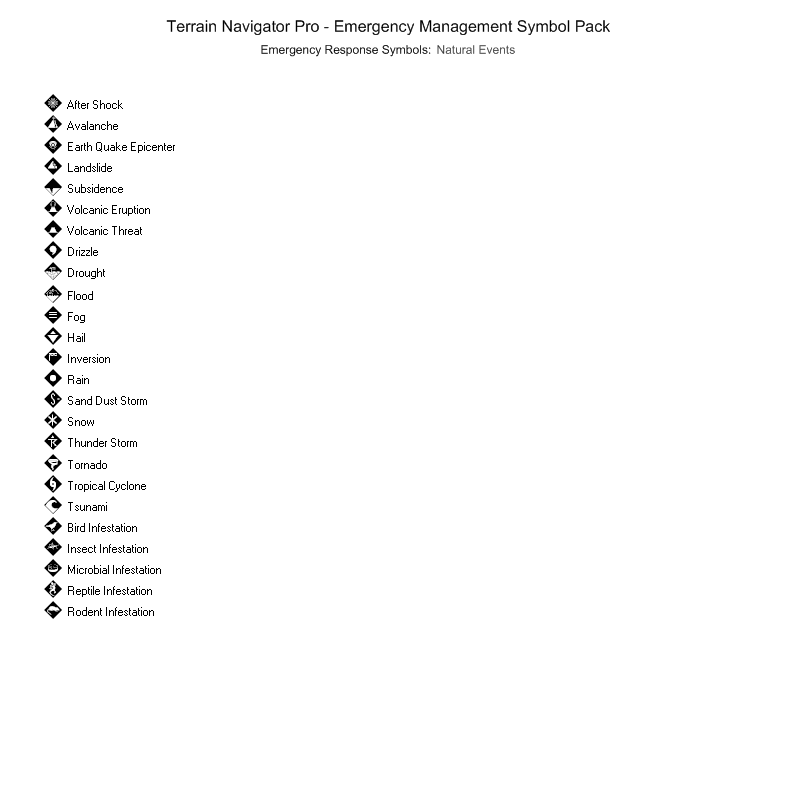 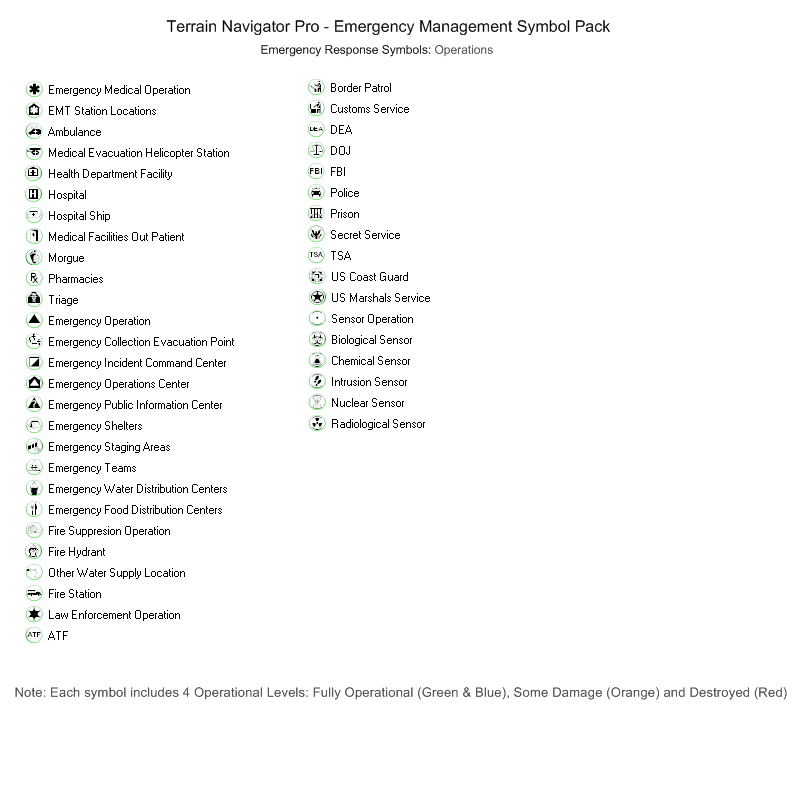 The images below show all of the various symbols and styles available within the Emergency Management SymbolPack. 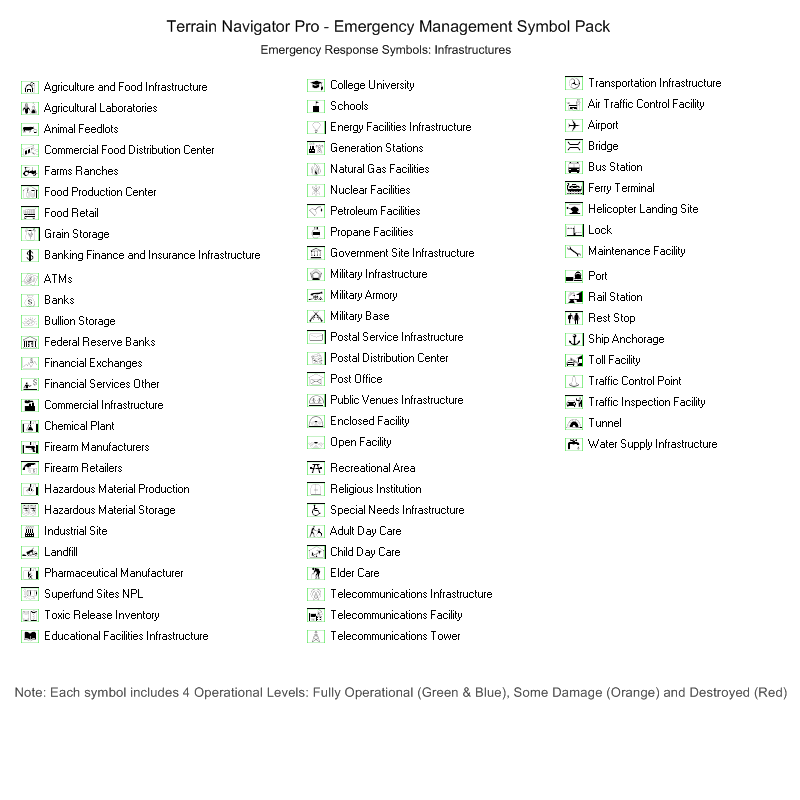 While previously sold separately, the Emergency Management SymbolPack is now included in all current versions of Terrain Navigator Pro.